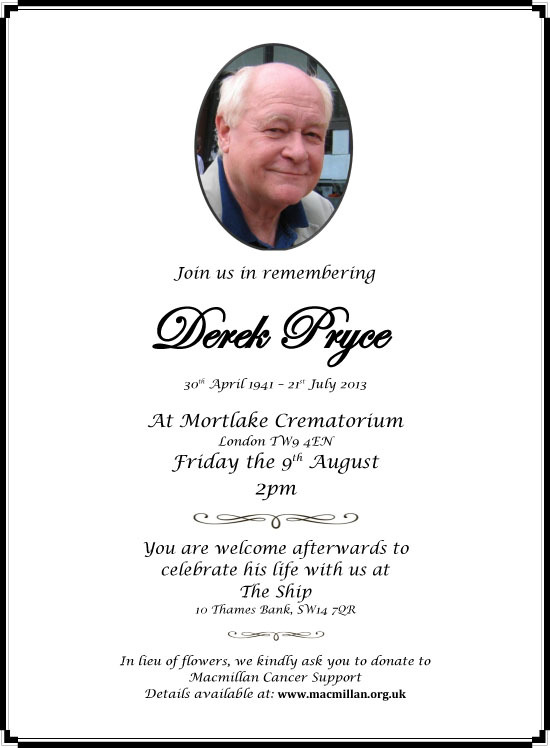 My friend Derek Pryce, drinking buddy and shipmate died July 2013. He was much loved and will be sorely missed. I can think of no finer tribute to the man, than this stunning duet performed by his son Ivan, and Ivan's daughter Nina. Together, they played this as we entered the Crematorium Chapel, it was a very moving and beautiful moment.